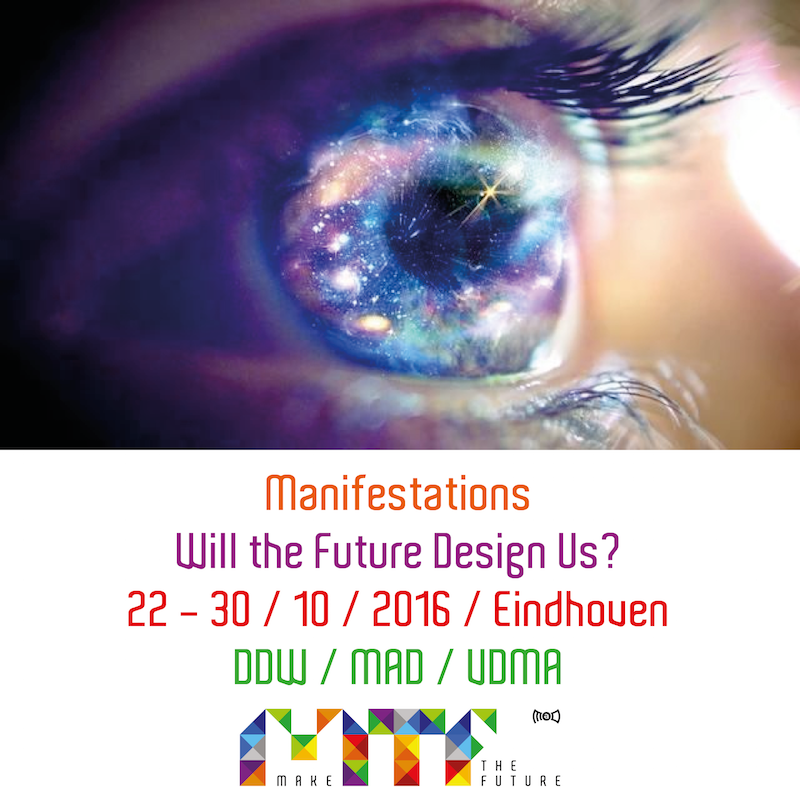 Manifestations – Will the Future Design Us? Will the Future Design Us? Man is limited in observations, what happens in a world when these can be manipulated? Do we need an update in perceptions, do we need exoskeletons and other digital plugins? Are digital observation systems more absolute? In a society with Nervous Systems, our behaviour is predicted and affected. How do we regain control on our devices and systems? Will the Future Design Us or can We Design the Future?